Sunday was the last day of the ninth annual Fort Myers Film Festival. The 4-day event played nearly 90 films at five different locations throughout Fort Myers. 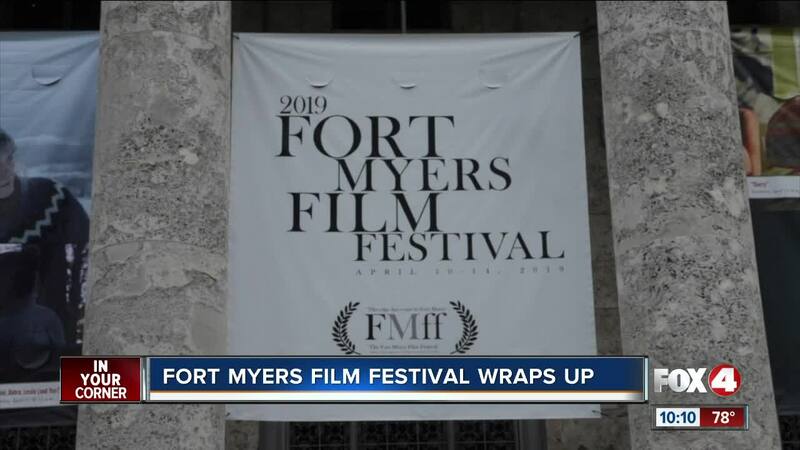 FORT MYERS, Fla. -- Sunday was the last day of the ninth annual Fort Myers Film Festival. The 4-day event played nearly 90 films at five different locations throughout Fort Myers. There was also a red carpet gala, filmmaker Q&A, and music performances. But events like this are also good for businesses. One restaurant owner tells Fox 4 that the more people the better. "More people equals more butts in seats," says Steve Hollister, owner of Twisted Vine Bistro and Barrel Room. "We're predicated with foot traffic. People walk by they hear the music and it just draws them in." For more information and how you can submit your film for next year's festival. Go to fortmyersfilmfestival.com .